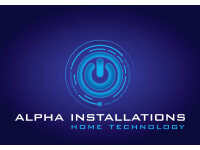 We are a custom home technology installation company based in Falkirk, Central Scotland. 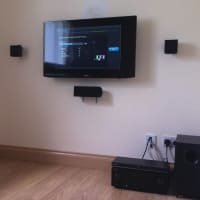 We specialise in Aerial and Sky TV installations, LCD & Plasma TV wall mounting and home cinema surround sound system installation. We are home technology specialists and can provide an installation and set-up service for all of the gadgets and devices in your home. 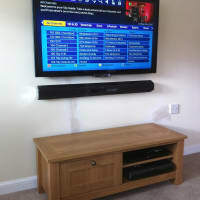 We provide multi room audio systems, HD Video distribution systems and whole home network solutions. 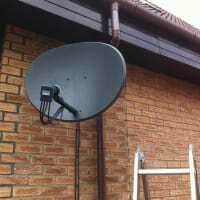 We install Digital Freeview aerials and Satellite distribution systems as well as extra aerial and BT phone points. We can also help with slow Broadband connections. Professional high quality personal service. We work throughout Central Scotland including Falkirk, Grangemouth, Bo'ness, Cumbernauld, Kirkintilloch, Kilsyth, Stirling, Bathgate, Glasgow, Edinburgh, Livingston and more. I would thoroughly recommend David. He installed a new TV aerial and fixed tge problems I was having with my TV reception. 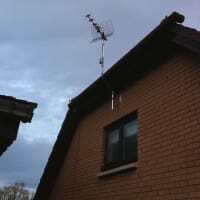 The new aerial is very high quality, it was installed quickly and professionally and the price was very competitive. There was also an issue with the quality of my wall plate which impacted the signal. 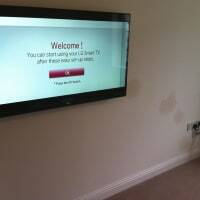 David identified the problem and made sure it was fixed and the TV was working perfectly before he left. All in all excellent service at a good price. Thanks Stuart, it was a pleasure doing business with you! I asked David to come and quote for some work based on the reviews here on Yell.com. He came out and quoted for the work with absolutely everything up front that he might require, whilst explaining that this was based on having to use all of that equipment and take the amount of time suggested. On the day of the job, they arrived promptly, and got straight down to work. They were polite and respectful and as unobtrusive as they could be with both myself and my partner working from home that day. The end result was excellent. 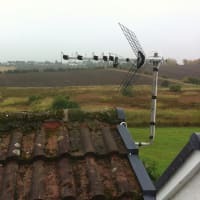 We have a new aerial installed with points in several rooms and power points immediately adjacent to the point of need making everything neat and tidy. All of the equipment was not needed so the price came in cheaper than quoted. Isn't it refreshing to do business with people who just want to do a great job? I would highly recommend this great, professional, local company. 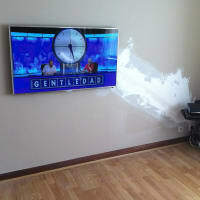 A few weeks ago, I had a minor issue with my TV signal round the house. My lady wife could not watch her favourite programme in the kitchen - it was all my fault! David answered my call and before I had finished the first sentence of my story, he was able to tell me exactly what was wrong and how to fix it. Five minutes later the problem was resolved! He came over within 48 hours and spent time looking at all aspects of my system and drawing up a plan that would meet my needs for the future. A date was sent along with a quote for the parts and labour (which was well within my anticipated budget). David and Colin arrived in good time on the day and worked their way methodically round my system, sorting all aspects as required. All my questions were answered with patience and systems were explained. In four hours I had a perfect TV and wifi system that WORKS! 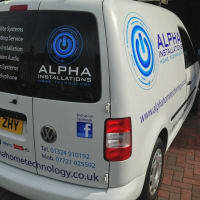 If you are fed up with endless issues with your system, look no further than David for perfect service - the A Team!! 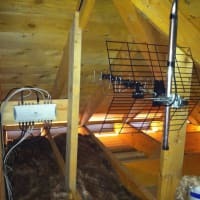 Have just had new Ariel installed today and cannot praise the boys enough. 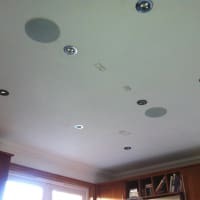 The installers were very professional and helpful and paid close attention to detail regarding our needs. An excellent friendly company. I would highly recommend this company and will be using them again in the future. Jamie and lydia Ofarrell.